If you take a look around your local supermarket or browse online toy stores, you are likely to find the wide range of children’s toys available for purchase to be overwhelming. There is growing pressure upon parents to purchase toys that help their children to develop essential skills for life. However, acquiring toys to aid your child’s development need not cost a fortune and there are several ways to find great deals on children’s toys and books. Kids’ toys and books can be bought at specialist toyshops, large supermarkets and online stores. The best deals on children’s toys can often be found online and this is especially true if you look towards the larger online retailers. It may also be possible for you to acquire discount vouchers for your favourite online stores. Discount vouchers can be found through using a search engine to look for deals on specialist online discount voucher websites and through browsing online shopping forums for discount codes. If you manage to acquire a discount code, you will need to inspect the terms and conditions associated with it. Outstanding deals on children’s toys can also be found through local children’s organisations and charity shops, which may sell off new or secondhand toys at a discount, and through other parents wishing to recycle or swap their children’s old toys. When choosing new items for your child, it is important to ensure that you choose books and toys suited to their age, ability and personality, and not get so distracted by any large discounts available to you that you forget their preferences and tastes. Babies and young children will love simple toys, such as plush teddy bears, chewable plastic rings and large wooden blocks. These do not need to be expensive. Sensory mats and balls are also ideal for babies. Children aged one to three years will love toys that can help them to imitate their parents. Toy gadgets sets, including large plastic ‘house’ keys and remote controls are perfect for this purpose. Children aged three to five years are known for their fascination with the way in which gadgets work. Toy cameras, cash registers and mobile phones will satisfy their fascination. Children aged six years and over love to be independent and free to unleash their creativity in their play. Dressing up outfits and arts and crafts sets will encourage self-expression in this age group. If you are choosing toys for children with disabilities, you may wish to look towards toys and books that offer multi-sensory appeal. Toys and books with lights, sound and textures fit these criteria perfectly. The toys you choose should be able to be used wherever the child is sitting, whether they are on the floor or on a wheelchair tray, for example. When purchasing toys for children with disabilities, it is especially important to ensure that the toy is adaptable to their style, pace and ability. 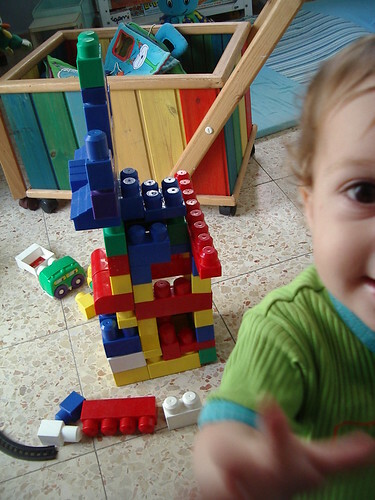 Toys that allow for open-ended play with no right or wrong way of playing are ideal.